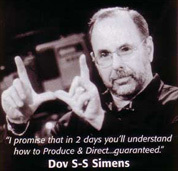 HONORED: In 1998, the National Association of Film Schools recognized Dov as “America’s #1 Film Instructor”. 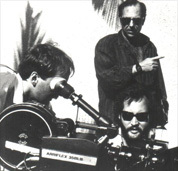 For 30 years Mr Simens has worked diligently to bring affordable film education to America and is credited with launching 1,000s of Film Careers, with Oscars® & Emmys®, for Screenwriters, Directors, Filmmakers, Producers and Actors in the Theatrical, Television and Cable Industries. 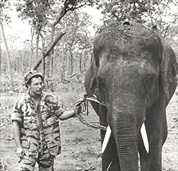 HISTORY: Dov was raised in New York (Hewlett Harbor); graduated college in Pennsylvania (Muhlenberg College, BS, Mathematics/Economics) and after serving in Viet Nam (’68-’69, Green Beret, 1st Lieutenant); He returned to America; moved to California (Carmel-Monterey) and owned acclaimed literary bookstore (The 3 Rings), for a decade, where he learned about properties & the importance of story and marketing, prior to moving to Los Angeles and commencing his career in Hollywood. LEARN BY DOING: After optioning numerous books, writing scripts and pitching high-concept projects (’80-83), and he graduated from the school-of-hard-knocks: His true film experience commenced as a Reader and Development Executive (’83-85) by writing coverage on over 3,000 screenplays and segueing into film production (’85-’88) as a Production Manager/Line Producer for Roger Corman, who made over 700 profitable, feature films, while teaching at USC, UCLA & NYU. CREATE AN ENTITY: In 1991 Mr Simens committed 100% to film education and founded the Hollywood Film Institute, an alternative to expensive film education, with it’s patented “2-DAY FILM SCHOOL™” (presented & franchised in over 35 nations), and presented over 1,200 master weekend intensives, for adults & professionals, on Filmmaking, Directing, Screenwriting, Producing, Financing & Distributing. In 2010 Mr Simens sold his campus to J J Abrams. GLOBAL EXPANSION: Thanks to Dov, with film education now affordable, he is bringing it to the masses by creating a “GLOBAL FILM SCHOOL” in 38 languages (Japanese, German, Korean, Arabic, etc.) for the world’s 3 billion Smart-Phones. In his spare time he updated his acclaimed “DVD FILM SCHOOL”, launched the "STREAMING FILM SCHOOL" and is establishing the China Film Academy, a mobile training facility, for mainland China’s major cities, to include two Micro-Budget Movie Studios in Brazil and Australia for Independent Filmmakers.